South Bend, IN – Notre Dame University celebrated Women’s History Month with a panel discussion and reception to recognize pioneering women faculty. The event featured five female faculty members who, according to Provost Tom Burish, have done pioneering work at the University. He also acknowledged the first women on the faculty, some of whom were present for the event. He thanked them for all that they had done to help “transform this university from a college for men to a university for all.” The discussion was moderated by Mary Celeste Kearney, director of the Notre Dame Gender Studies Program and Associate Professor of film, television and theater. 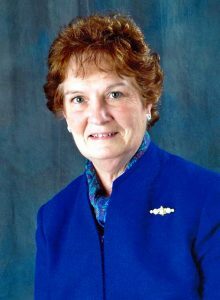 Sr. Kathleen Cannon, Dominican Sister of Peace, is associate dean of the College of Science at the University of Notre Dame, and served as associate provost from 1990 to 1997. She began her remarks by recognizing the women in faculty who became before herself and the others on the panel. Among the topics discussed in this forum, which also included a member of the Board of Trustees and other sitting professors, were possible opportunities for continued improvement at the University. It takes concerted effort, Sr. Kathleen said, to keep women in faculty positions and to create a more positive experience for them. She gave several examples of changes initiated while she was Associate Provost. In addition to her role as assistant dean, Sr. Kathleen serves as an associate professor of theology; advises students in the science-business, science-computing, and science education majors; and is responsible for diversity issues, international programs and various award committees. While serving as associate provost, she was instrumental in establishing Notre Dame’s first on-campus day care center. This story was prepared using information from the March 30, 2017 issue of the Notre Dame/St. Mary College Observer.